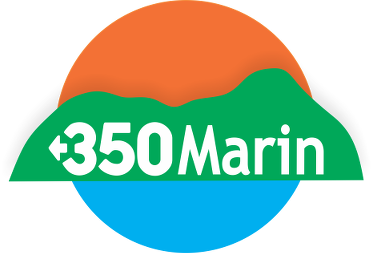 Join 350Marin to Fight Climate Change! Enter Your Email to Get Updates and Actions! Learn About the Green New Deal - Then Help Make It Happen! Click to read more about the building movement! On-Going: It is Done! All Marin Local Gov’ts Have Opted-Up to 100% Renewable Energy. Have You? 350Marin is proud to be a part of the Clean Energy movement happening around the country and in local groups of 350 Bay Area. We work to protect our communities and our earth by reducing the pollutants resulting from the extraction, shipping, and refining of fossil fuels in the Bay Area. Divestment is the opposite of investment–it simply means getting rid of stocks, bonds or investment funds that are unethical or morally objectionable, particularly fossil fuel investments which are a risk for investors and for the planet. 350Marin is made up of deeply concerned grassroots activists working to avert the intensifying global climate crisis. As passionate advocates for climate justice, we invite you to join us for our next “Community Conversation” (look under Upcoming Actions You Can Join) and at our local actions. Together, we bring the voice of the people forward to influence regional policies as one of the local groups of 350BayArea.org and nationally, inspired by the global 350.org movement.